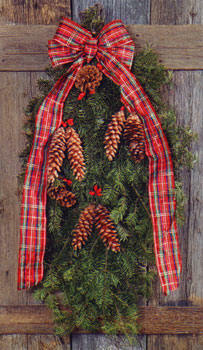 Wholesale Mail Order Wreaths GREAT OPPORTUNITY!! 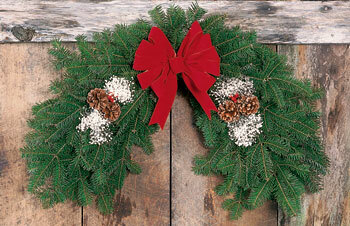 There are 8 Wreath Styles to Choose from. 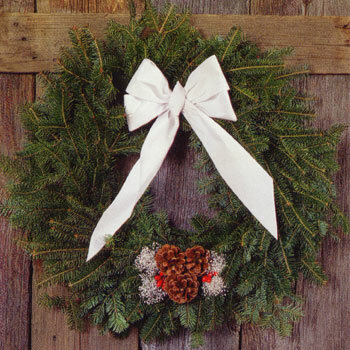 b - all of our products are made from the most fragrant Balsam fir evergreens. 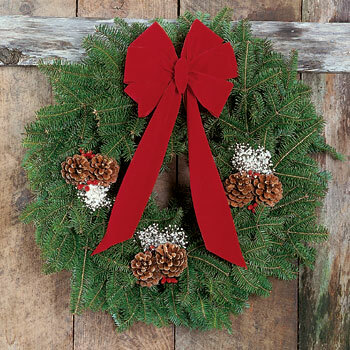 Our wreaths come with instructions that tell the customer how to care for their wreath so it will last until Christmas and into the New Year, plus a hanger for easy display. c - all of our products come with a 100 % guarantee. 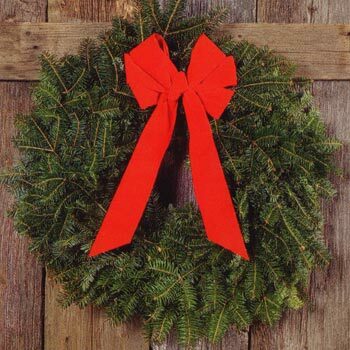 In the event a wreath arrives damaged or dries out en route; we will replace it free of charge. Your customers will be satisfied with the purchase and this develops good will in your community and fosters a long-term relationship with us. 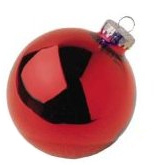 We have worked very hard to provide you with the very best evergreen Christmas decorations available anywhere. 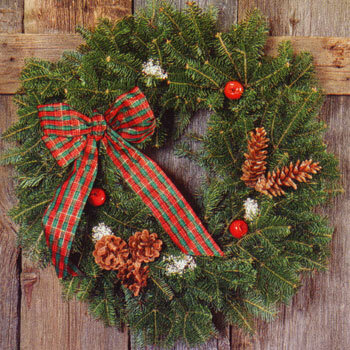 Use the Color Pictures & Order Form to promote and sell the wreaths. 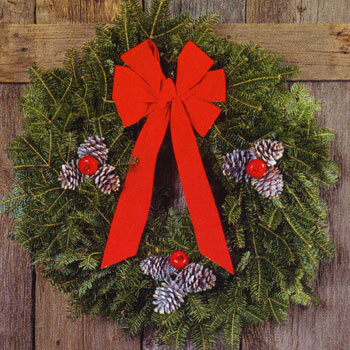 Begin your selling now, the months of October and November are the best times to sell wreaths as individual purchases, gift purchases, or group purchases (to show appreciation to employees or customers). Potential buyers include any of the following: relatives, neighbors, teachers, businesses, stock-brokers, insurance agencies, real estate firms, doctors offices, people at the grocery store, bank and gas station, etc. 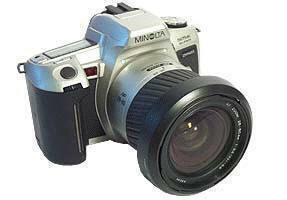 Also if your group has a listing of supporters or members, they would make excellent contacts. 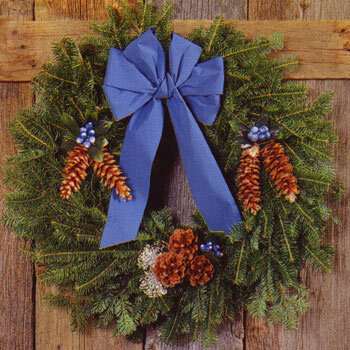 There are no additional Shipping Charges they are included in the price of each wreath. Except for cases of Priority Mailing there is an extra charge of $3.00 per wreath, and is required for those wreaths being delivered to Alaska, Hawaii, Puerto Rico, or Overseas Military Bases (APO Boxes). 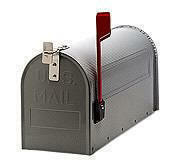 Priority Mailing is also required to any customer with a P.O. Box, or a RR or RFD address.